F3 function key. Input your words. 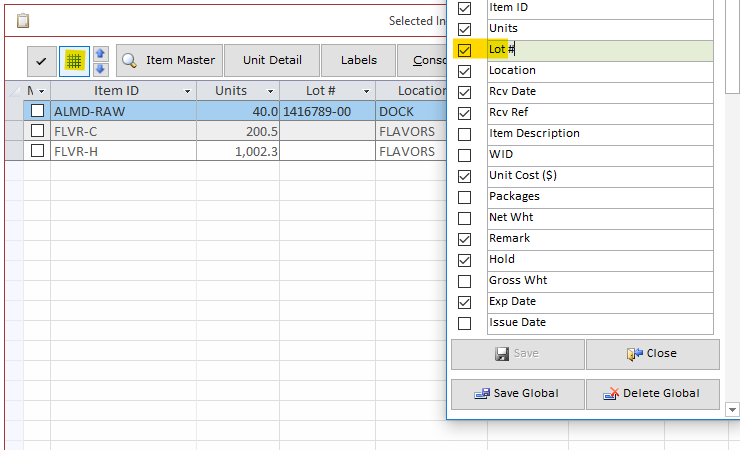 Right-click the Item ID field for a shortcut menu or click and press F2 - to go to the Item Master, F3 to search for an item, F4 - to open the dropdown list. menu, pick a language or use Translate. You can even add your own translations. Select Home/[Language]/Translate. Type in a phrase in English and in your language or English, click Save. Search for serial numbers in stock, shipped equipment, or consumed components. 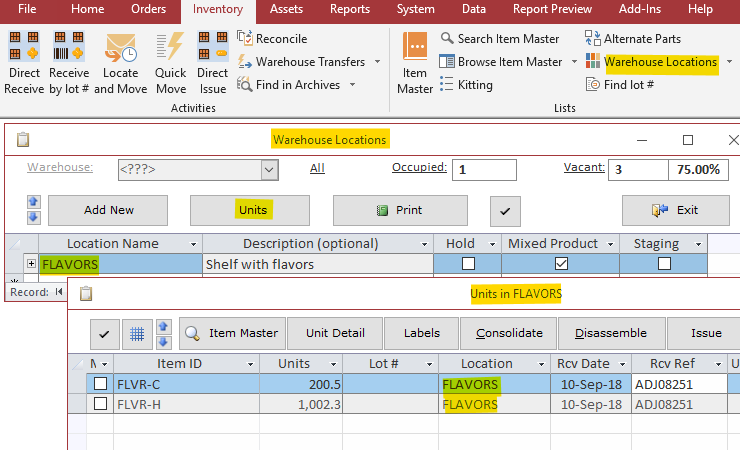 Quickly find a product with specific serialized component. You can investigate any bin content and you can quickly move the entire content or just a few units out of it. This function called Bulk-Move. Grid button. All changes saved automatically. Use Checkbox to show/hide the columns. Type over the column name to change it. You can also resize rows/columns or drag the column headers left/right. 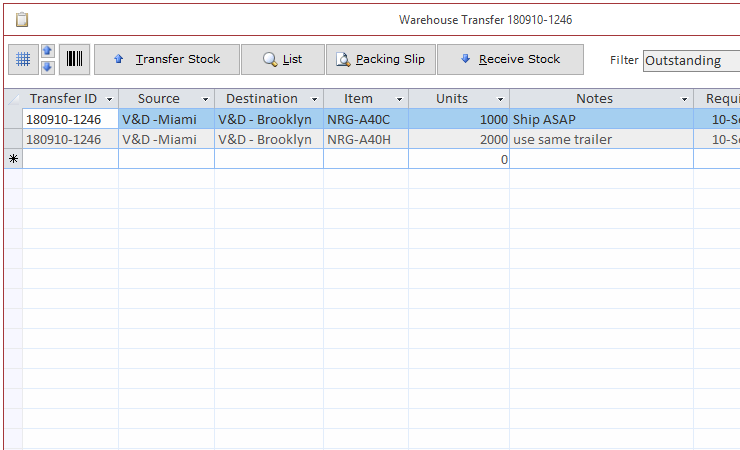 Quickly transfer stockChoose Inventory/Warehouse Transfers. Just specify the stock that you expect to receive from another warehouse or stock to be shipped out. 215 Reports and countingWe have not made reports for everything. We have made reporting Flexible! 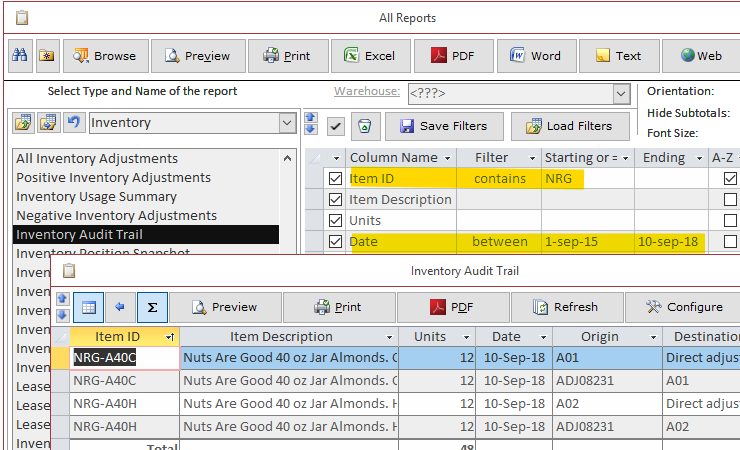 You can pick the columns and change their widths, change font size, filter and sort by any column(s), create new reports, have favorites & history. Why choose Almyta products over other inventory and accounting software? What is Almyta Inventory Software? Almyta Systems has conducted business since March 2003. The main product of our company is an MRP II package called Almyta Control System (or just ACS). ACS is a Windows-based networkable client/server application. Each standard package includes the following modules: inventory control, purchasing, warehouse appointments, asset maintenance work orders, assembly orders, bill of materials, asset management, shipping, inventory sales. ACS is a barcode capable application: it reads scanned barcodes, it prints bar-coded labels and forms. Almyta Systems is offering a multitude of interfaces for hardware and software such as: handheld devices, QuickBooks, Internet, PLCs. Almyta Systems provides custom programming for Windows and the Internet at competitive rates. All ACS configurations include product lifetime updates and one year of unlimited support. We can help! We will work with you on your custom software specifications. All estimates are firm and free. If you cannot find a good solution for your business, contact us. Our expertise includes: automated purchasing, shipping order fullfilment, bill of materials, kitting, inventory control, inventory replenishment and forecasting, warehouse capacity optimization, production scheduling and planning, E-Commerce and Business to Business applications and interfaces. As they say, no job is too big or too small. Who is using our Inventory Software? Almyta is helping businesses and organizations in more than twenty countries around the world. Our clients include third party logistics and order fulfillment businesses, purchasing departments, state and local governments, military agencies, importers, exporters, small and midsize manufacturers, the oil and food industries, doctors' offices, universities and schools, medical labs, and telecoms. You can download and evaluate our software. Almyta can help you to reduce procurement costs, eliminate unnecessary purchases, meet reporting requirements, and minimize the efforts you need to make to maintain your inventory. We stay on the edge of the latest technology and constantly update our system, adding useful functionality. - Where is my inventory? We have added a configuration functionality in about 60 languages. This is if you have the internet. Check this video to find out how to maintain company databases in ACS. With licensed ACS, the SBS software runs on ACS dataset complementing ACS with simple accounting and inventory returns. We are in a final debugging stage of linking our two great packages ACS and SBS. Our ACS clients will have an ability to run SBS company on an existing ACS data for the accounting and inventory returns. We have changed our website design. Now, it comes in five languages: English, Spanish, French, German, and Italian. 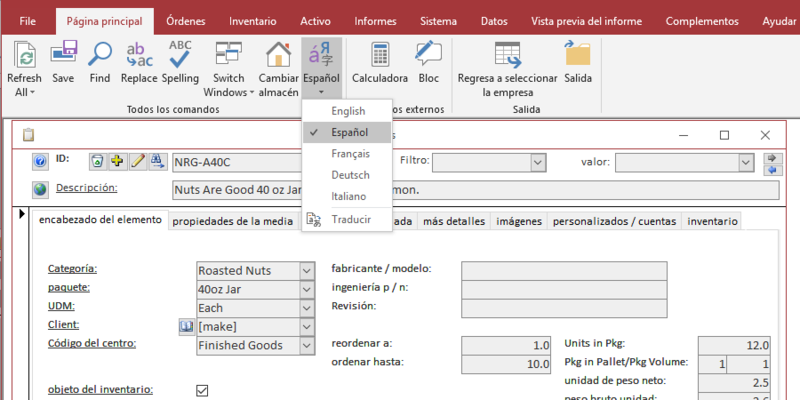 Per your requests, we have added four languages (Spanish, French, German, and Italian) to our Almyta Control System.